In 2003, Elena Meissner met as CFO of a Steel Foundry Gerald Schreiner in Romania and became friends with him and his family over a business relation. 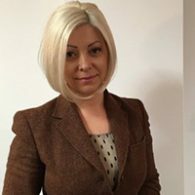 Elena is a highly analytical and detailed-oriented professional – so she realized in time that a stand alone foundry in Romania may not be a long-term success story. So she recommended the sale of the company to an Irish investor just before the onset of the financial crisis. When Gerald left the banking industry, Elena, he and several other senior executives from various industries established a consulting firm in 2011 focused on a broad range of industries – with a strong focus on start-ups, especially on technology start-ups. They always included advisory mandates with a “buy in“ clause, as their work force was a key factor in their clients’ multiple success stories. As Romania is the „Programmer & Software Development Country“ within the EU, the highly experienced team supported several FINTECH start-ups in CEE and even in Austria. This is how etoxx and MCV-CAP became clients and finally a partner company. Elena has a law and an economics degree and holds an MBA in business management from a German university. She has always been a strong and successful leader in all her projects. 15 years of management and consulting experience are are just some of the pillars of her success.